Yiwu Jiyun Apparel Co., Ltd.
Our annual production capacity is more than 2million pieces. Our main products include various scarves,ponchos, shawls, beanies, straw hats, baseball caps, gloves and so on. Our main products have been exported to Western and Eastern Europe, North America and Singapore. 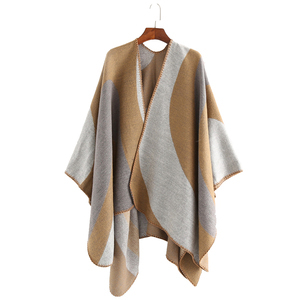 Warm sweater with hoods attached comes in many exciting colors and patterns. - Can custom make your designs and customise in terms of quality of material. - We deal in wide range of products - from home furnishing items to wide collection of beach range and fashion accessories. 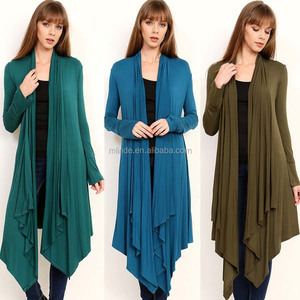 Alibaba.com offers 627 cardigan wrap products. such as free samples, paid samples. 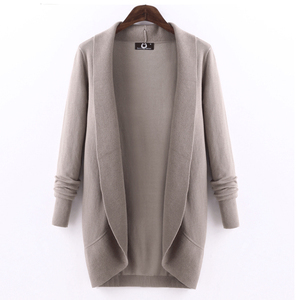 There are 619 cardigan wrap suppliers, mainly located in Asia. The top supplying countries are China (Mainland), India, and Hong Kong, which supply 95%, 1%, and 1% of cardigan wrap respectively. Cardigan wrap products are most popular in North America, Western Europe, and Northern Europe. You can ensure product safety by selecting from certified suppliers, including 21 with Other, 11 with BSCI, and 11 with ISO9001 certification.